Heading into the 2018 NFL Draft, it’s been Louisville quarterback Lamar Jackson receiving much of the hype from that program. 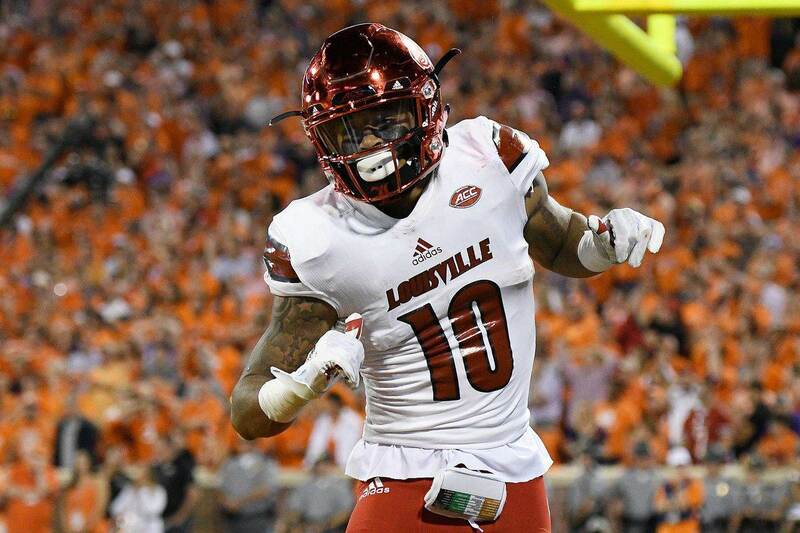 While much deserved, Louisville cornerback Jaire Alexander may actually have a case to be drafted before Jackson is taken off the board. Jaire Alexander is a 5’11” 192 pound junior cornerback prospect from Louisvile, and he might have an argument for “CB1” in this corner class. Alexander is a feisty, cocky player who will bring a different attitude to your secondary. While somewhat undersized Alexander is a tough player who is not afraid of physicality both in run support and in coverage. He consistently re-routes receivers and possesses an impressive ability to break on throws to make plays. He is at his best as a press-man corner, and shows the ability to start on the outside for an NFL defense for a long time. If there is one area Jaire Alexander is special, it is with his throw anticipation and burst to break on throws and create big plays. Against Virginia here, Alexander is in man coverage at the bottom of the screen. He gives the receiver an easy inside release off the ball. The quarterback realizes this and believes he can beat Alexander with the in-breaking route. Alexander reads the throw, anticipates the play, and jumps in front of the ball to come away with the interception. Jaire Alexander possesses strong instincts as a man corner, and has the confidence to act on these instincts as well. Sometimes this feisty-ness can get him into trouble, such as when he jumps on a route and gets beat with a double move, but it is this exact mentality which I love in outside cornerbacks. Later in that same game Jaire Alexander showed off his ball skills, and his ability to make plays once the ball is in his hands. Knowing he has safety help over the top, Alexander comes up and challenges the receiver after a couple of yards. Then he flips his hips and baits the quarterback into trying to fit the throw between Alexander and the deep safety. The ball is poorly placed, and Alexander goes up and grabs it for the interception. Then, he shows off his elusiveness and athleticism which make him so dangerous as a punt/kick returner as well. As I mentioned earlier, Jaire Alexander is not afraid to come up and tackle. His form isn’t great, and he did miss some tackles during his time at Louisville, but splash plays like these do come up as well. Louisville is in a cover-2 look here, and Alexander knows he has a safety overtop allowing him to play more aggressively. Trailing the slant route at first, Alexander quickly recognizes the dump-off pass, and breaks on the throw. He then comes up and makes a nice tackle for a loss of yardage. Obviously I’d like to see Alexander keep his head up and wrap up the running back, but the play is made nonetheless. Jaire Alexander isn’t the fluid cornerback that someone like Ohio State’s Denzel Ward is, but his mentality and instincts make him a late first round cornerback on my board. If a playoff team is looking to add some help to their secondary, Jaire Alexander could be that guy on the back end of day one.